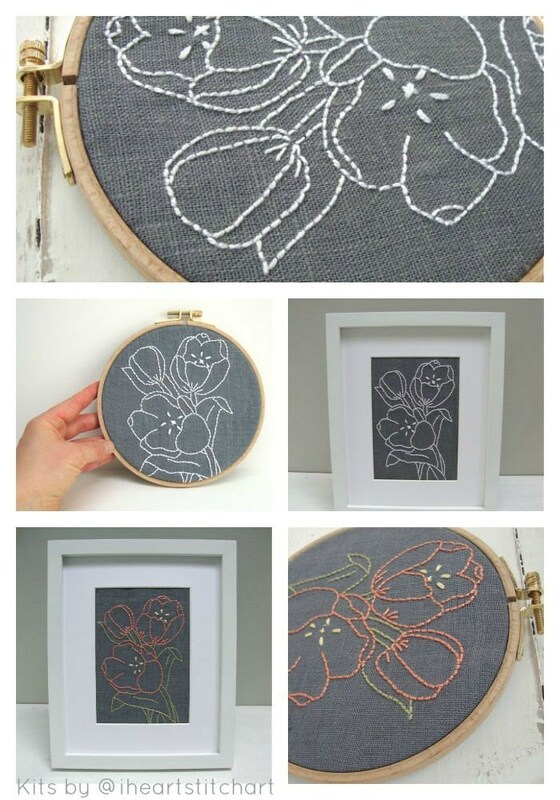 This embroidery kit is the perfect thing for a beginner wanting to learn hand embroidery. 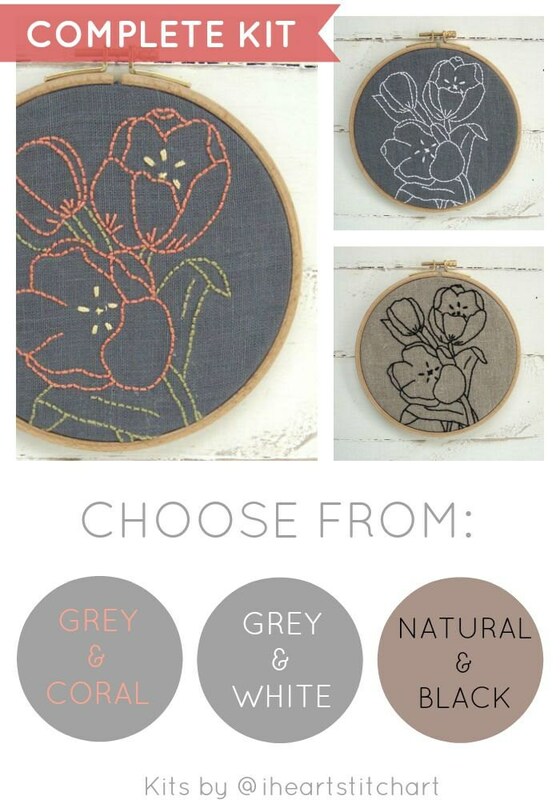 The kit features a pattern of tulips to stitch on luxuriously rustic linen. 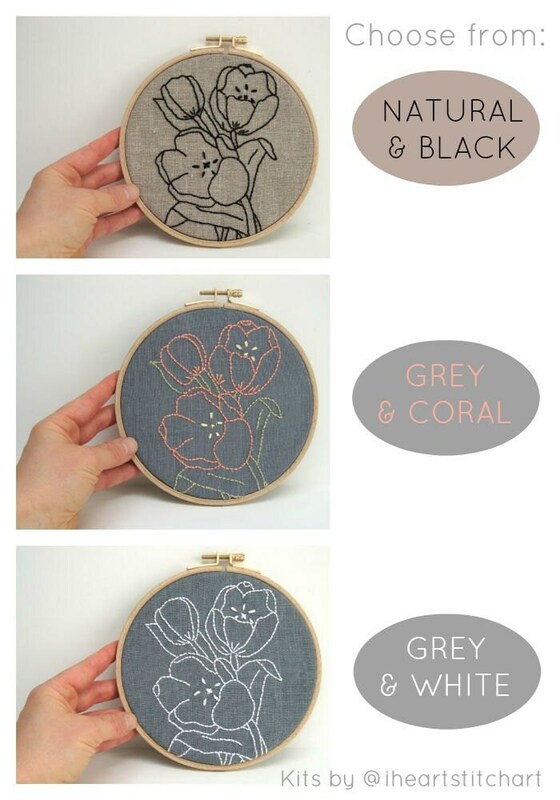 Choose from grey with white, grey with coral, or natural with black - everything you'll need is included in this DIY embroidery kit! 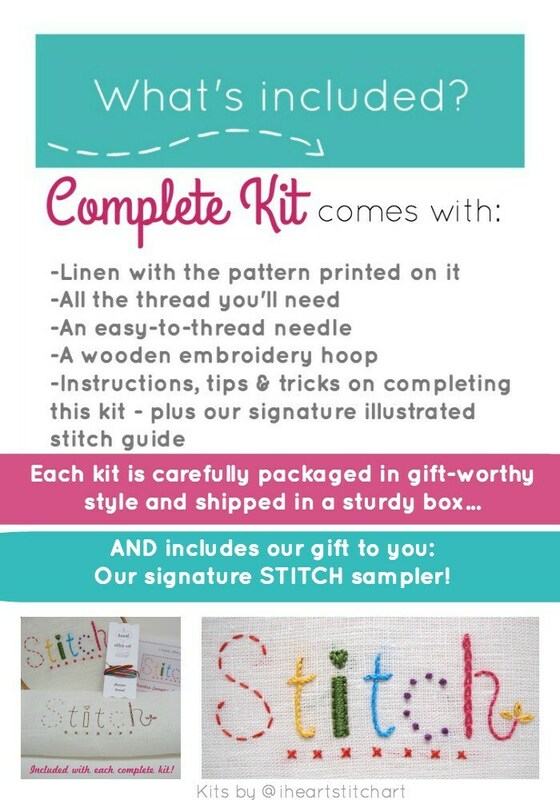 Please note: This listing is for ONE embroidery kit! Please select the colour from the drop-down menu before clicking 'add to cart'! 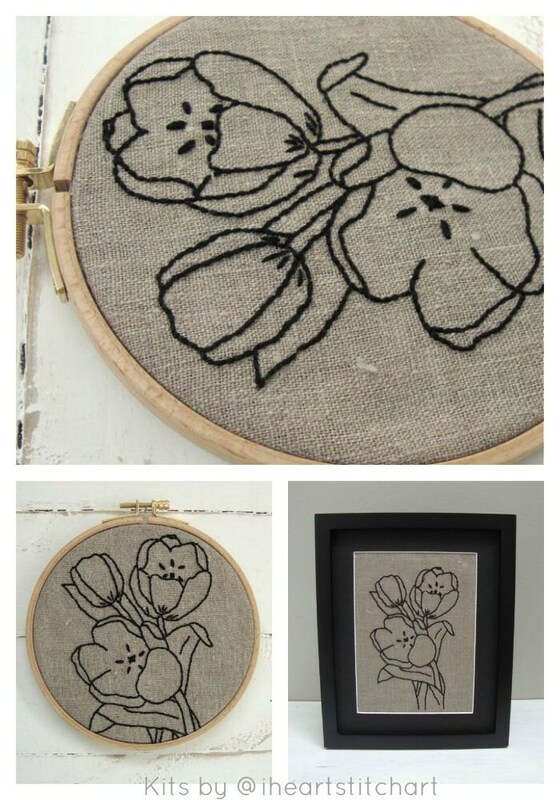 I ordered this and another set because I wanted to get back into embroidery after a years-long hiatus and I love them both! The seller was also very understanding when I accidentally messed something up on the order and worked quickly to help me fix it. I have purchased these kits for my sister on 2 occasions. She loves them! Beautiful kit. Easy to follow and well written instructions. Fast shipping, too. I have already completed the project and the enclosed practice stitch sampler. I can't wait to give the finished project as a Christmas gift. Informative and enjoyable. Thank you! Product comes as described. Fast delivery. Nice package.